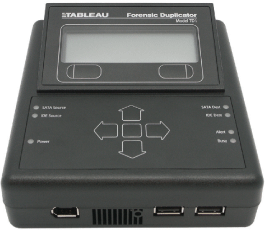 The complexity of devices, storage technology, and information processing creates a challenge during the analysis and overlapping, to achieve a legal analysis or to discover fraud. Our computer forensic mission has the main objectives of discovering data and highlighting facts. Thus, we create the information necessary to the understanding of the business that has been treated by our company. To ensure the integrity of the chain of evidence, we have chosen to put procedures in place to acquire all the equipment guaranteeing the integrity of the information collected and processed during the mission. The equipment we use protects the original supports, to ensure that the evaluated media were not altered during support copying operations. We also provide evidence for internal action within the company or to put an action in place in conjunction with a third party in charge of the legal aspects of the document. Computer forensic report, report visualization tools, copies of computer supports. This mission is in the standardization phase within our company. Discover the other existing maturity levels in our catalogue.